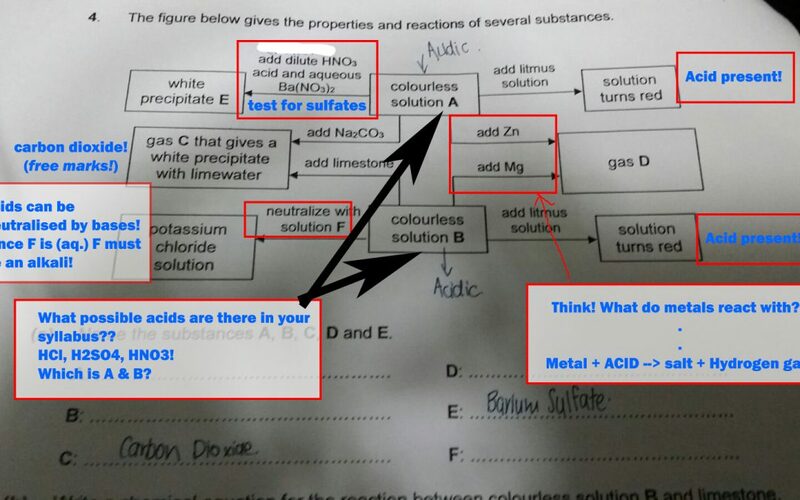 A student recently reached out to me via whatsapp asking me to help with this O Level Chemistry Qualitative Analysis (Q.A) question. I thought I’d very quickly show how to approach and solve Q.A. questions. A turns litmus solution red –> A is an acid. Hence A must be sulfuric acid! and white precipitate E must be barium sulfate! Next, let’s try to identify the gases – should be simple, afterall there are only 5! When zinc is added to A, a gas D is produced. Note – whenever a metal (zinc) undergoes a reaction, HYDROGEN gas will be produced! Hence D is hydrogen gas! Gas C gives a white precipitate with limewater –> gas C must be carbon dioxide gas! B produces potassium chloride when it reacts with F.
Hence B is hydrochloric acid! Lastly, lets try to figure out what F is. Since B undergoes a neutralisation reaction with F, F must be a base – since its soluble, it must be an alkali! 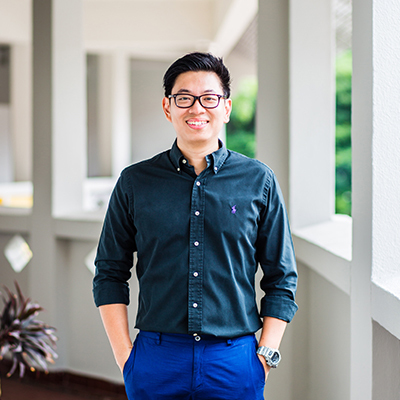 Jeremy is one of Singapore’s leading O Level Chemistry coaches and founder of The Classroom. He has coached over 10000 hours, close to a 1000 students from over 60 secondary schools in Singapore. Over the last 7 years, he has worked with students from a wide spectrum of backgrounds, from the F9 “i dont understand what’s going on” student to the A1 “I want to top my class” student. His ultimate goal is to show students that chemistry can be made easy and learning it can be fun.